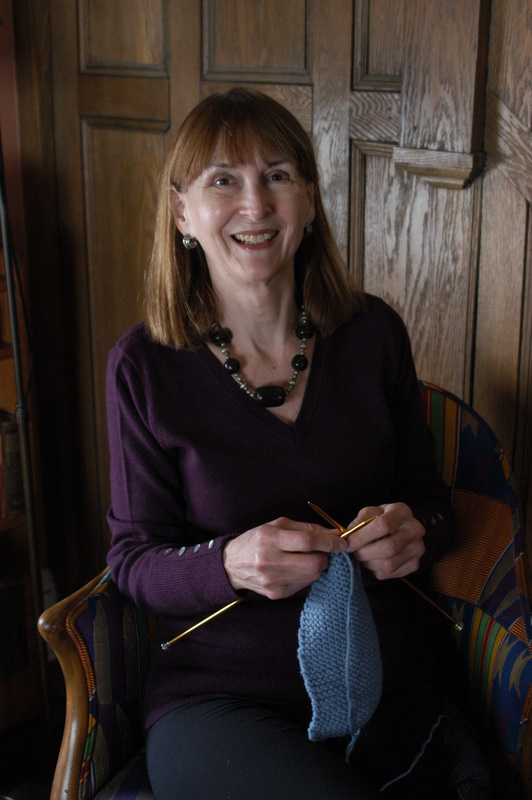 I’m the author of the Knit & Nibble mystery series, featuring Pamela Paterson, founder and mainstay of the Arborville knitting club, nicknamed “Knit & Nibble.” Since I’m a long-time knitter and an enthusiastic cook, this theme is perfect for me. The setting for the Knit & Nibble series is a charming New Jersey town rather like mine. The first two–Murder, She Knit and Died in the Wool–are now out. Click on the Knit & Nibble Mysteries tab for details. Knit One, Die Two is due in May of 2019, but the advance copies of that book have now gone out to reviewers–and lots of information about Knit One, Die Two is now up on the Knit & Nibble Mysteries page. Three more Knit & Nibbles are in the works. The first of those, Silent Knit, Deadly Knit, is all finished and is scheduled for November 2019. Yes, there’s a Christmas theme! And I’m busily at work on the next, tentatively called A Fatal Yarn. Click here to buy Murder, She Knit. Click here to buy Died in the Wool. And click here to preorder Knit One, Die Two. The Knit & Nibble mysteries contain bonus material–ideas for knitting projects and recipes for goodies baked by my sleuth. I’m making the knitting projects and baking the goodies. To see photos of them, just go to the Knit & Nibble Mysteries page and scroll to the bottom of the entry for each book. Like my sleuth, I’m unable to resist thrift shops, estate sales, flea markets–anywhere that cast-off treasures can be rescued. Often these treasures are fascinating projects involving yarn. Click on the “Yarn Mania” tab for a chronicle of my various finds, as well as other yarn-related goodies. I add to it from time to time. Is your book group planning to read Murder, She Knit? Click here for a pdf with discussion questions. Is your group looking for a speaker? I’m happy to talk about any aspect of reading or writing mysteries–or click here for some specific talks I’ve prepared. Click on the “Contact” tab to get in touch. I’m delighted to announce that my work has been added to the Stop, You’re Killing Me! website. If you’re not already familiar with this fantastic resource for people who love mysteries, drop by and take a look. You’ll be amazed. My first mystery series (two books worth!) was set in the world of a struggling blues band and featured a female blues-singer sleuth, “Maxx” Maxwell. When the first Maxx Maxwell mystery, Sweet Man Is Gone, came out, I launched the project of baking a music-themed pie every month for a year. I left that tab up when I redid the website for Knit & Nibble–because Pamela Paterson herself loves to bake goodies and because … pies!